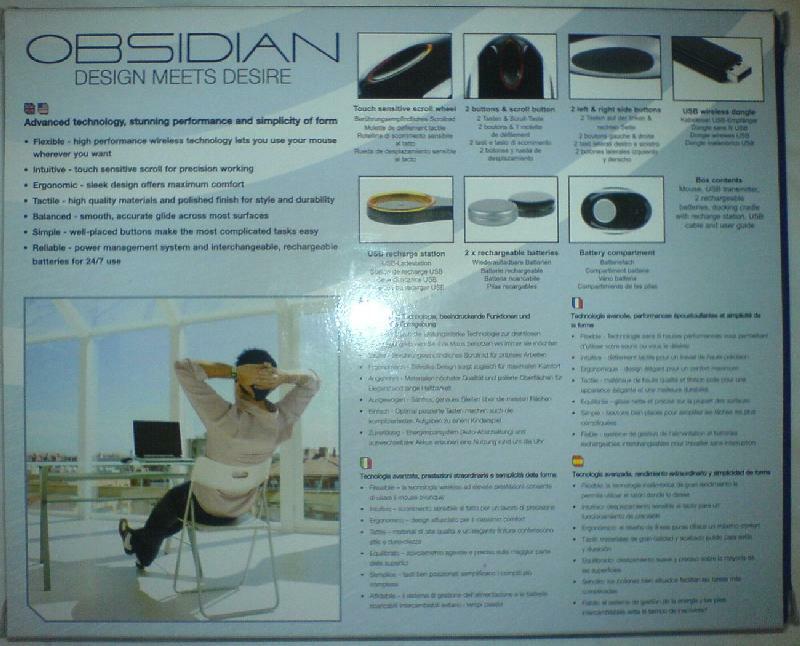 Saitek, a leading company in computer peripherals, recently released a new designer wireless mouse named “Obsidian” where design meets desire. 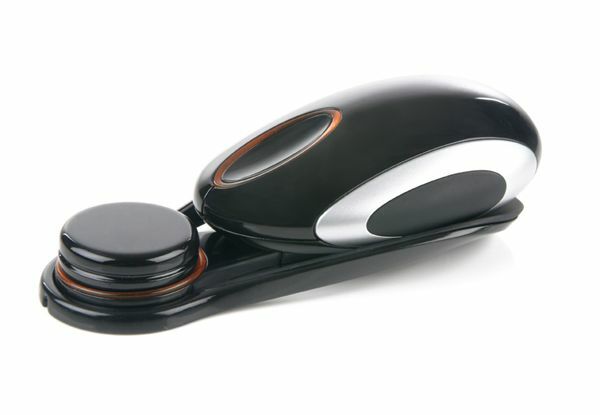 Just by looking at the new mouse you will see that the finish on the mouse is very similar to the obsidian rock, which is how the mouse got its name. 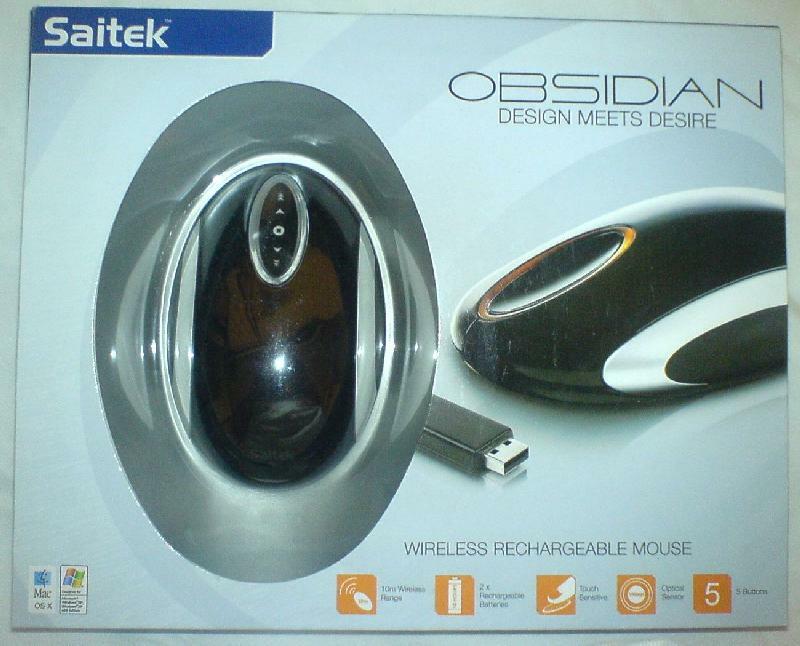 The box that the obsidian mouse is placed in is very nice. 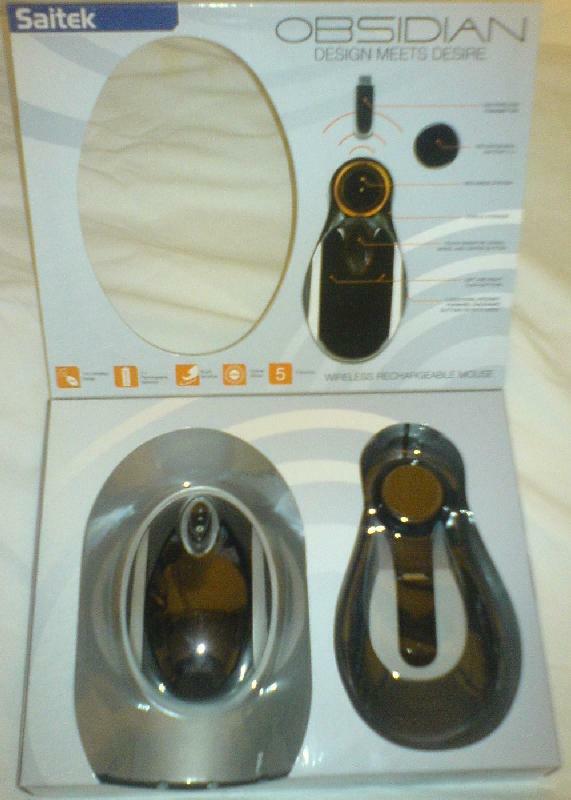 When the box is completely closed the consumer is still able to see the mouse through a cutout in the box which is redone with clear plastic. 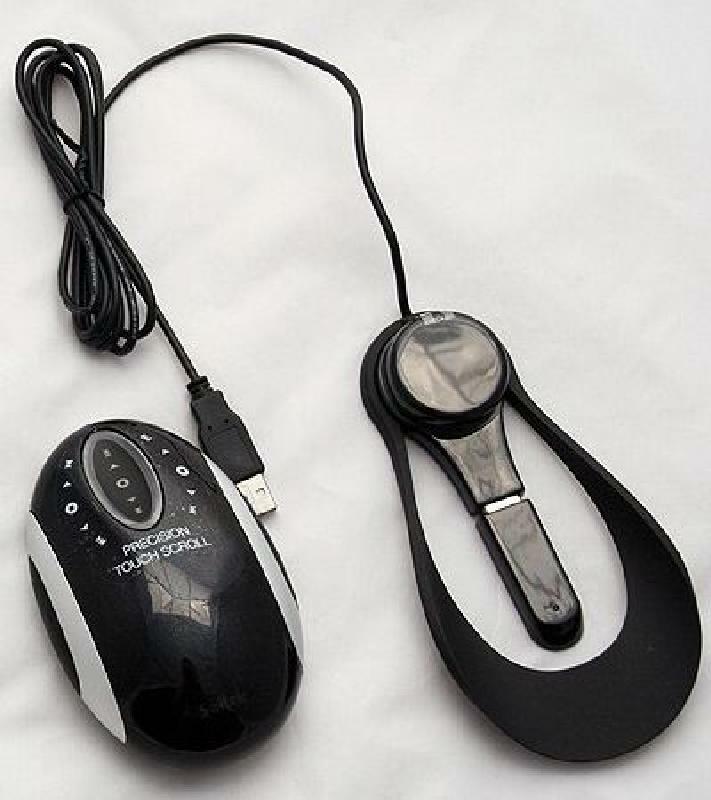 The box also has a flip open front cover which when opened gives you more specs of the mouse and on the inside it has two cutouts, one for the mouse and the other for the recharging dock. 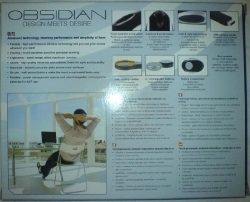 The back of the box consists of specs and everything you would want to know about the mouse, shown in five different languages.